This is another entry in a series about people in the Greater Lowell area who have taken initiative and achieved special things. Feel free to suggest others who should be so recognized and have interesting stories to tell. Sovanna Pouv savors the satisfaction of a job that helps people daily. Yet he continues to feel the weight of a genocide that casts a long shadow over family life for all Cambodians. At 34 years of age, he has come a long way through his perseverance and initiative. 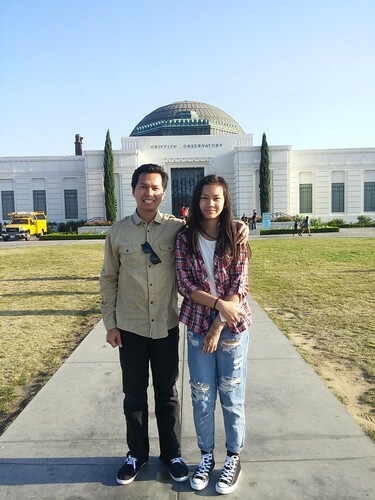 Today, Pouv is the Executive Director of the Cambodian Mutual Assistance Association (CMAA). He is credited with bringing stability and good will to the organization. CMAA was founded in 1984 to help assimilate new immigrants into a new and very different environment. 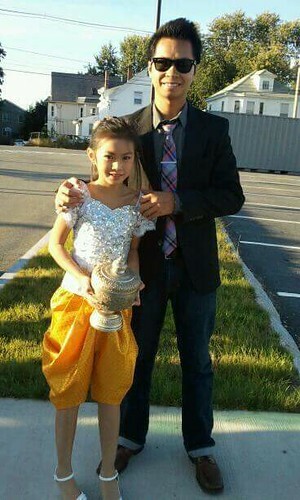 Because of church resettlement efforts after the genocide in their country, many Cambodians came to Lowell seeking a new life. The country had been destabilized by the impacts of the American involvement in Southeast Asia. In the resulting takeover by the Communist Khmer Rouge, Pol Pot and his armies essentially attempted to kill all professionals, governmental and other skilled citizens with the excuse of trying to bring back an agrarian culture. Among the millions killed were Pouv’s maternal grandmother and grandfather. Pouv believes he inherited their commitment to social good. His grandmother assisted with the development of agricultural programs. Pouv’s grandfather was a teacher. During the attempt to escape the killing fields in Cambodia, Pouv’s mother was shot in the ankle by the Khmer Rouge. While the group she was with continued their escape, she was left behind in a ditch. She was eventually rescued by a group of Cambodians now fighting with the Thai army. One of these soldiers ultimately became Pouv’s father. Pouv was born in 1980 in a Thai refugee camp. The family was there for nearly two years before eventually settling in Chicago. They relocated to Lowell in 1988 when Pouv’s mother and sister were able to reunite. Growing up in a single parent home with three other siblings was not easy. The family moved frequently. Customs and language were unfamiliar. Pouv was held back in second grade. Cousins and peers joined street gangs. At one time, Pouv’s cousin was tried but failed to be convicted of attempted murder. Pouv described himself as a “nerdy student” who got along with everyone. Over time, he did well in school. Unlike others, he resisted dropping out or getting involved with gangs. He credits his mom’s sacrifices and the Big Brother Big Sister’s – Adam Project for directing him towards more productive activities. But other circumstances would intervene after graduation from high school. “I had some things happen in my life,” Pouv says. This is the way he introduces becoming a father at age 20. “I was blessed,” he stated. The blessing was Bryanna Honor Pouv, who is now a happy and radiant 14 years old and student at Lowell High School. Bryanna’s mother was in and out of their lives for the first year after Bryanna’s birth. She was younger than Pouv and initially forbidden by her parents to interact with either Sovanna or Bryanna. Over time, this situation resolved itself and while not together, Bryanna now has the active support of both parents. To care for Bryanna, he dropped out of Middlesex Community College and left his job at a toy store. For the first year, he and his baby daughter lived in a friend’s basement. His brother and his mom tried to help out. It was hard and he became depressed. But he decided that he owed more to his daughter and himself. 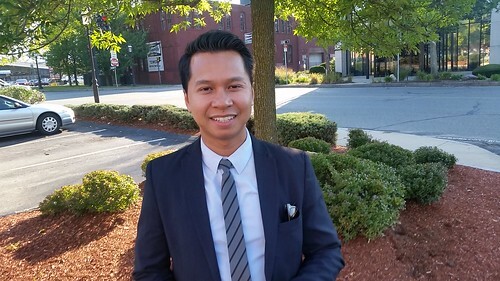 After 12 years at UTEC and a brief stint at a Lowell startup company, he heard that the top job at CMMA had become open. It was a little intimidating. CMAA was a longstanding organization and well known in the Cambodian community. Many elders had served on the board. Some of the angst and conflicts within the community had also impacted CMAA over the years. While stabilized recently, Pouv wondered if he had the stature and qualifications for the job. In fact, friends urged Pouv to apply for the executive position at CMAA. “I didn’t think I was ready to take on this big a job,” he recalled.” As he was thinking about the matter, one of his friends told him, “You are a good person. You have a good heart. You have a good soul.” He thought about it over and over. One month later, he applied for the job. What skills did he rely on to bring calm and direction to CMAA? “I can be naïve even though I did my research and had a good idea about what was going on. I’d say, oh I didn’t realize that.” The strategy gave him the ability to learn and to approach issues on a merit basis. “After a while I gained trust.” That trust has enabled him to be a leader that the board has rallied around. He’s worked closely with partners and built bridges to the mainstream community. “We have a new generation in Lowell,” says Pouv, referring to what he calls “the 1.5 generation” of younger Cambodians. 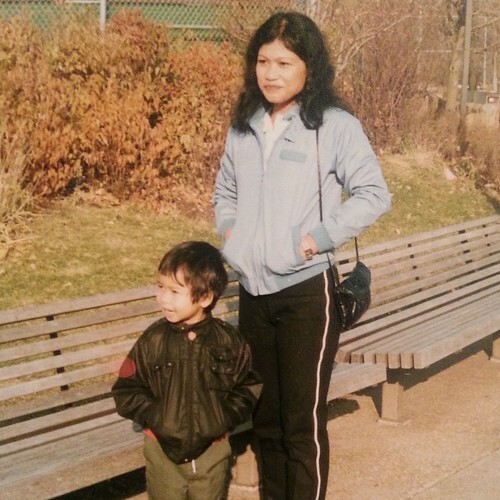 At 35 plus years since the first Cambodians arrived in Lowell, he and his generation are more assimilated to America. This next generation will have been born in America and spoken English as a native language. But he is distressed that many of his peers do not reach for their potential. The challenge he is taking on is of great importance in seeking to understand the Cambodian culture. Pressed to explain that feeling of intimidation, Pouv recounts some of his first efforts back at UTEC to work within the mainstream business community. “In my early 20’s, I was intimidated. I felt so uncomfortable. It’s being the only person of color in a room of white men in suits,” he says. At 34 years of age, Sovanna Pouv is a success story. He has demonstrated heart, grit and initiative. A discussion with Pouv imparts a quiet but powerful message. The lesson is that time has come for self-respect and community respect for all. Pouv has seen the CMAA turn a corner. He looks forward to further increasing collaboration and success. CMAA is so blessed to find him as its Executive Director. Sovanna is a wonderful leader in the greater Lowell area and we can look forward to great things under his leadership at CMAA and in the community. A great post, thank you. Sovanna is a gem in our community, and it is a personal honor to know and work alongside him!